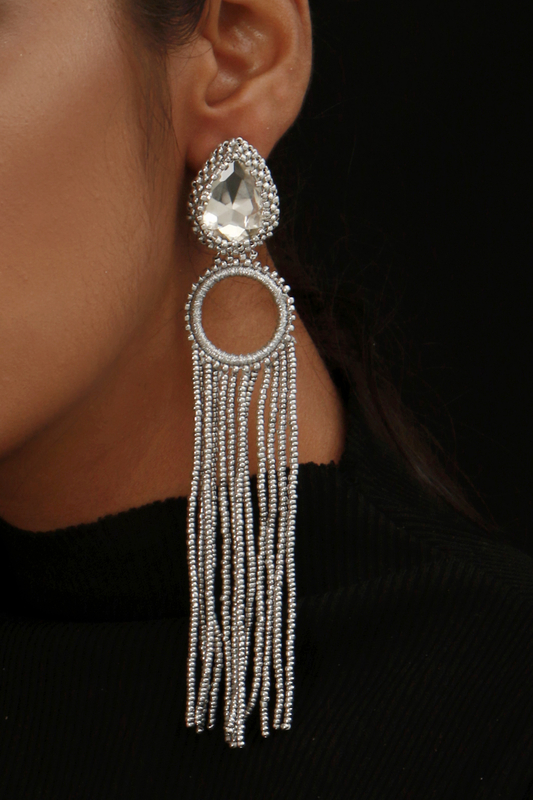 Vaidaan designs a pair of go-to earrings to perk up your look when in doubt customizing it with tassels and stone embedded stud. Style it with your bohemian silhouettes. COMPOSITION: Threads, semi precious and glass faceted stones, metal beads and mirrors and base metal. CARE: Showering & Swimming wearing Vaidaan Jewellery is not advised. Put your jewellery on last after cosmetics, perfume, hairspray & other chemical substances that can be corrosive. Store jewellery pieces separately, in a box or a pouch to avoid scratching.